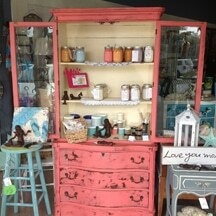 Since we are on the brink of spring, we have already begun to organize and clear our clutter. The clean freak in me jumps for joy when it is time for a good spring cleaning! The Milner’s have cleaned, filed and purged unwanted items in preparation for a clutter free spring. To rid our garage of all the boxes, we had a garage sale and donated the rest to Goodwill! Spring is the perfect time to remove clutter and excess from the home. 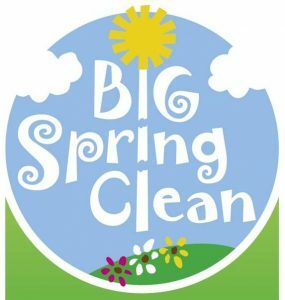 So, get ahead and do a little premature spring cleaning!! Since getting organized can sometimes feel like an insurmountable task, here are 25 easy and helpful ways to clear the clutter and minimize the mess from your home. 1 Identify problem areas: Take a good look at each room and take notes to help identify exactly what needs to be cleared away and which storage solutions might work for each space. 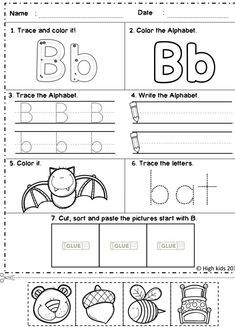 2 Be prepared: Arrange areas based on need and what activities and tasks take place on a regular basis. 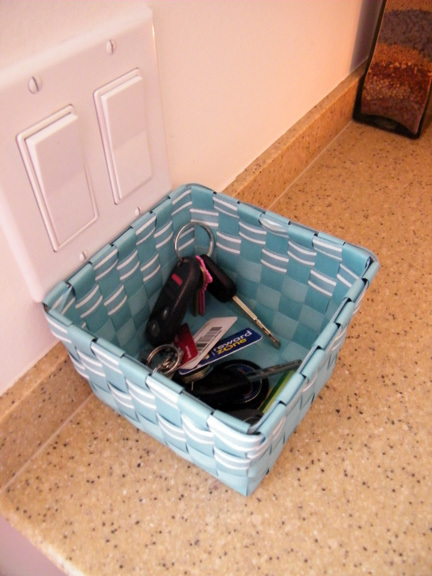 For example keep keys in a basket near the back foyer so you’ll be ready in a jiffy when you head out or come inside. 3 Organize your mind: Trying to keep the clutter under control is hard enough for even the most organized individual. Add the extra stress of life-on-the-go and it’s easy to lose your mind. Keep a notebook handy and jot down daily to-dos, thoughts and plans. Or if you are like us, make a spreadsheet of your monthly cleaning tasks. 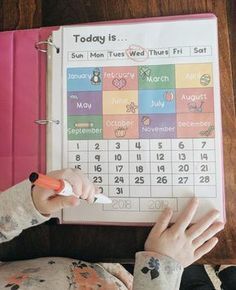 At the end of the day, revisit what you’ve written and organize appropriately, adding items to a grocery list or activities to a calendar for example. 4 The linen closet: Tame trouble amongst your linens and things by organizing and separating items with the help of bins, baskets and adjustable shelving. Folding all items neatly and arranging each shelf according to room will also help clear clutter in the linen closet. 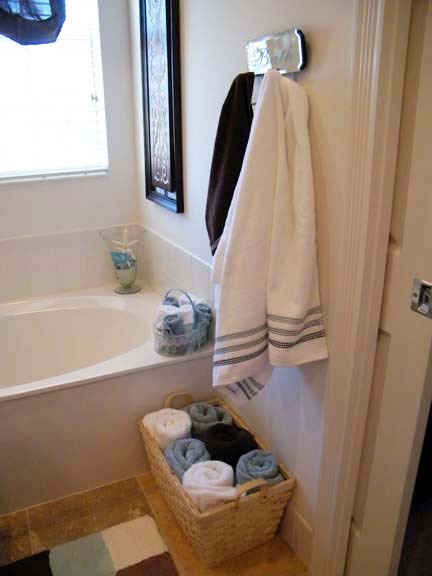 We use baskets and bins to roll towels in for easy access in our bathrooms. 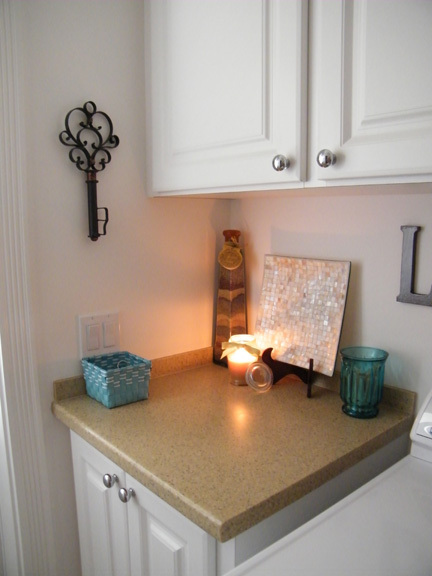 5 Think inside the box: Create storage space in areas that were previously unused. 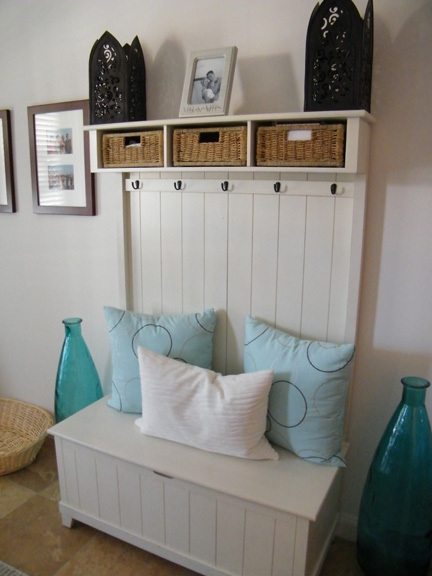 We use baskets, bins and storage ottomans to keep the clutter down and create an overall organized look in our home. 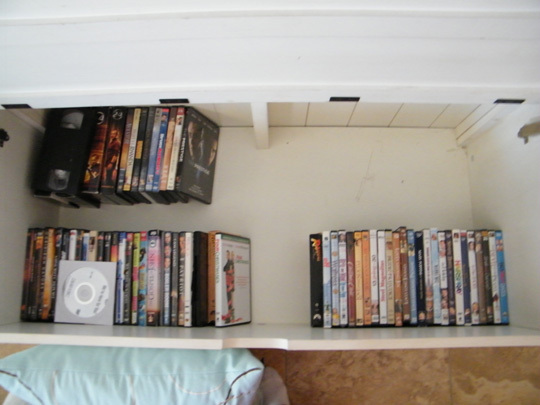 We store movies and blankets like this. 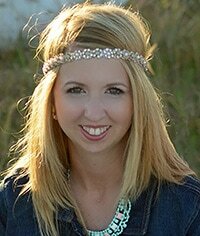 7 Jumble of jewelry: Untangling your necklaces and bracelets or hunting for that matching earring can be tedious and tiresome. If you don’t have a “jewelry box”, use artful hanging jewelry stands and beautiful boxes to organize your special sparklers. Separating expensive and cheap pieces as well as silver and gold items will further cut down on the clutter. 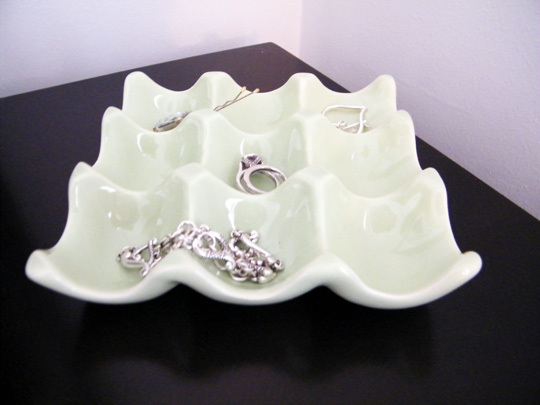 I have a nice sized jewelry box in our room, but from time to time I place the jewelry I wear a lot on this ceramic egg crate (I got it for $7 at Joann Fabrics). 8 Take it out: When you clean outdoors it is important to reduce all of the dead plants that were left behind by winter. Not everyone will need to do that because not every place actually loses their plant life. Cleaning up weeds and gutters is the best way to prepare your yard and home for a great summer garden. Rake, shovel, and rearrange your yard. Early spring is the best time to clean and get everything ready for a garden. Also, cleaning your gutters thoroughly and washing the windows on the outside can really prepare you for the warmer seasons ahead. 9 Declutter keepsakes: Artfully organize small mementoes like pictures and cards by inserting them into a picture box or display case should you have one. If you prefer to conceal your keepsakes, an organized file folder with appropriately labelled tabs is a handy place to keep these memories (especially if you are an avid scrap booker)! 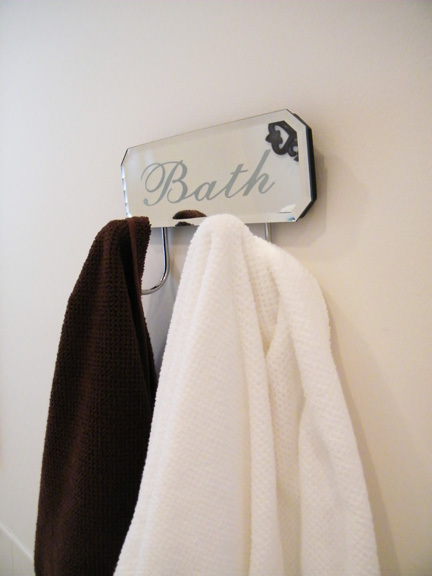 10 Hang it up: Hang hooks and over-the-door organizers to the backs of cupboards and doors to create extra room for accessories, towels, etc. 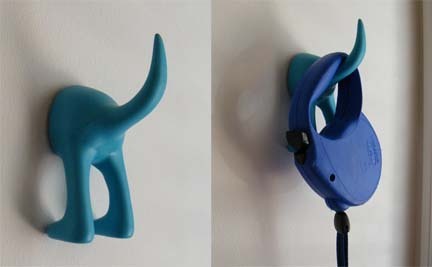 Check out our use of hooks. 11 Love/Hate: Use the “love it”, “hate it”, “like it” system for getting rid of things. With this system, you go through whatever room or closet you’re cleaning and separate everything into the above three piles. Anything in the “hate it” pile gets put in the donation bin, without a second thought. Anything that you love gets put back in an organized fashion. The rest can then be sorted through more carefully as to what you want to keep and what should be tossed out. 12 The Inbox: Whether it’s in the kitchen, office or front hall, the mail can really start to pile up. Create a central inbox for all the mail to keep the paper clutter to a minimum. We generally take our mail upstairs to the office, but we do have this small organizer in the laundry for outgoing mail, coupons etc. 13 Recipes, recipes: We all love cookbooks but how many recipes do we really need? Try scanning your favourite recipes and find others online, create a folder on the computer and save them all in one handy place. Not tech savvy? No problem. 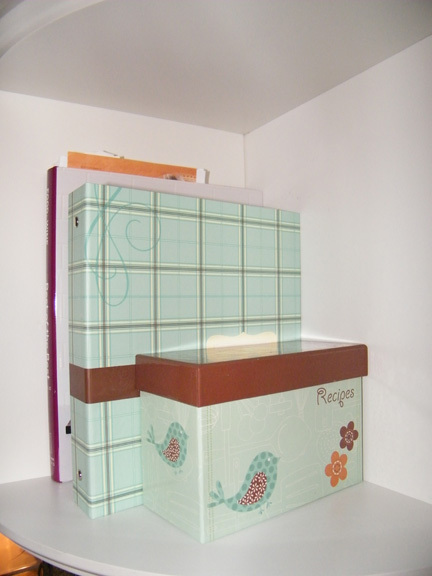 Print or tear out your favourite recipes from books and magazines and store them in clear plastic pockets in a binder. Voila! Your own homemade, unique-to-you cookbook. I keep mine rather orderly on a shelf in my kitchen. 14 Regulating receipts: Gone are the days we need to keep every receipt (which I am happy about because I tend to lose them quickly). Try using MINT.COM for your financial and budgetary needs. If you do like to keep your receipts, however, a tabbed coupon organizer or envelope is a useful tool to help conquer the clutter associated with bills. 15 Invest in the right tools for organizing your home. If you don’t already have closet organizers, files for different documents and enough shelving in the kitchen then spring is the time to make that investment so that you can really get things cleaned up around the home. Just having those tools around will make doing your spring organizing so much easier. 16 Wonderful white: Buy all-white linens and towels. 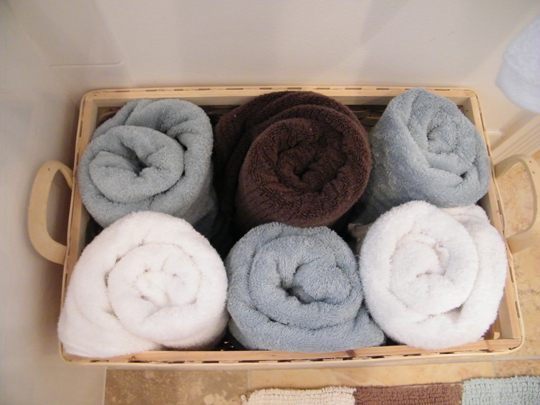 A stack of white towels creates a sophisticated spa look in the bathroom. Plus, white is easy to match and clean. 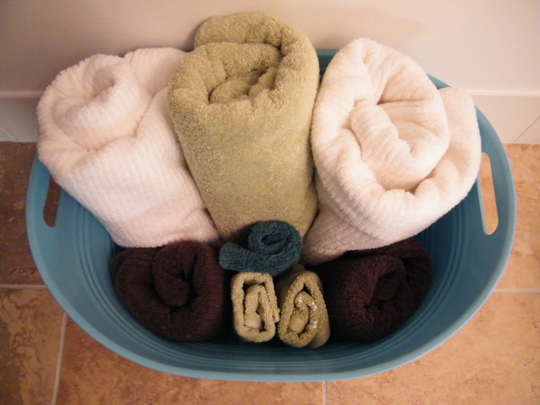 If you are on a budget, try mixing a few white towels in with the one’s you already own. 17 Multi-task cleaning: Watching TV is usually a relaxing time. Stay on top of organizing by sorting through drawers, files and paperwork during commercial breaks. 18 Commit to making your bed every day. If you don’t already do this, it’s a really great spring goal for making your home feel fresh and clean every single day. A newly-made bed is basically a new start and that’s exactly what spring is all about. 19 Holiday decor: Organize holiday decorations by boxing items by holiday. Instead of dismantling centrepieces and wreaths, carefully wrap the item in tissue or bubble wrap and cover with a plastic bag. Label each box and store in one location. 20 Routine clean: Set aside a few moments, whether it’s five or 45 every day, to clear clutter and tidy things up. Set a timer or alarm so you won’t forget and concentrate on what’s on your list. Check out my weekly cleaning check-list. 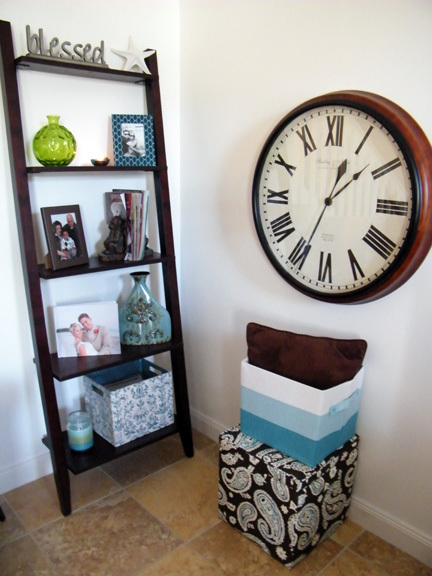 21 Spick-and-span spots: Declare clutter areas such as front or back entryways and nightstands a clutter-free zone. Limit the number of books, magazines and accessories struggling for space and attention. Our kitchen counter somehow seems to soak up clutter on a daily basis. 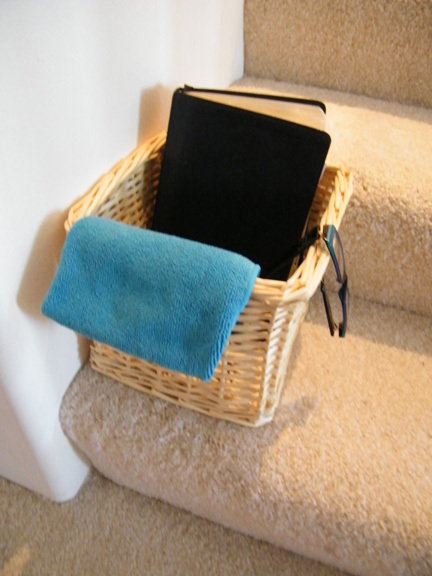 So to keep this space neat, we now keep a basket at the bottom of the stairs which houses the odds and ends that need to make it upstairs. If your nightstand is the hot spot in your home, use a basket or tray to keep organized. 22 Grocery List: How often do you clean your refrigerator and pantry? Sometimes we banish food to these places, and then promptly forget about it. Keep an updated list of your food contents so you know what you need, what you can keep and what needs to go in the garbage. 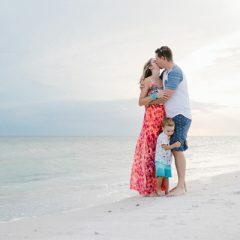 We plan out our meals in advance which not only cut down on the trips we make to the store, but it also keeps us organized throughout the week. 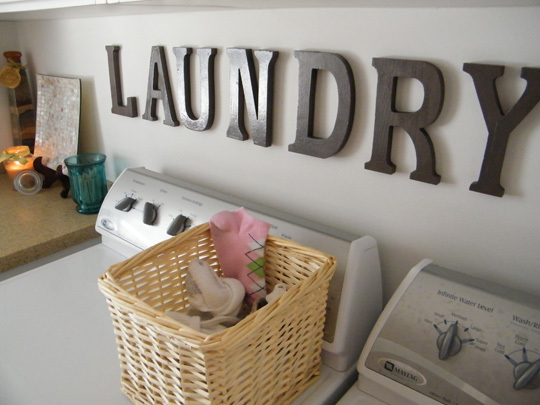 23 Laundry Piles: Use a basket place single socks in the laundry room. At the end of the week, empty it and reunite the missing pairs. My biggest problem is laundry; I tend to forget about it being in the dryer. To reduce loads and loads of laundry to fold at once, try hard to fold as you go. To keep our dirty clothes organized, we have different bins for coloured and white clothes. 24 Desk dilemmas: My desk is relatively small (until it gets changed out soon) which makes it easy to run out of desktop space in a flash. I make it a daily routine to file (catalogues, notes, memos, etc), purge and straighten up when I am ready to close up shop! I like to leave my to-do list out so the following day I am ready to start fresh! There are so many options to get any office organized. Keep trays or fun cups to house paper clips, push pins and sticky notes in. 25 Get real: Know and understand your own organizing style. If you’re naturally tidy then a lot of hidden, compartmentalized storage and minimal displays will be the right route for you. If you’re more comfortable living in organized disarray (where you know where everything is) then flaunt it! Spend time styling what you’ve organized, getting rid of and shifting things around until you’re happy with how everything looks and how your space feels! For more on cleaning & organization check these posts out: Homeade Green Cleaners, Lemon Aid, & Adding Function & Retaining Style. So,be kind to yourself. Many of us feel like we have to get all of our spring cleaning done perfectly and we punish ourselves for not doing that. Spring is about a fresh start and one great thing to do is to start being nicer to yourself. 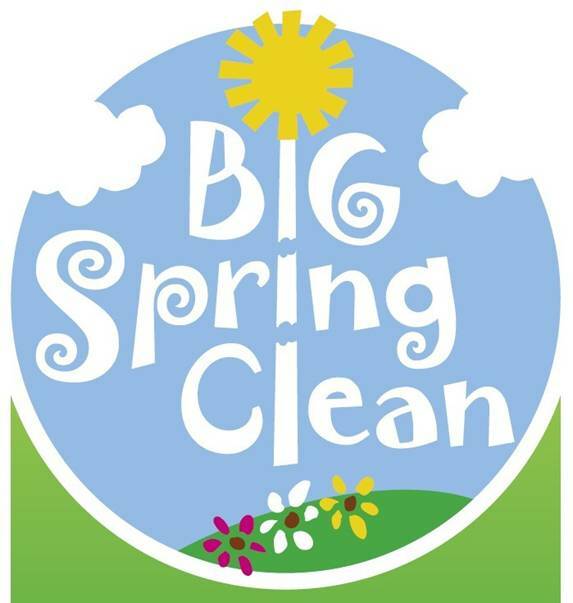 Have you started the yearly spring cleaning yet? Do tell! 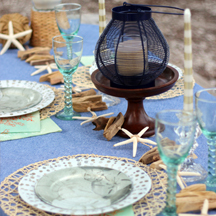 All photos are courtesy of A Design Story, LLC (except the Spring Cleaning Icon from here). Reader's Tell All: Detest Design? Those were excellent tips! I love the sock basket idea! I will have to put that to use! I find that the kids socks are so hard to find the matches for…its like the dryer eats them. As for me, the hardest thing to let go of is my boys clothes…though he cant fit them anymore there some that have meaning to me. Do you have any ideas on how to keep things like those meaningful baby clothes in a special way? Right now they are just taking up space in my sons closet! Thanks for all the advise…great ideas!! Thanks! Hi, thank you for following A Design Story! Have you thought of shadow boxes to display those really special outfits in? You could hang them in a hallway or the kids rooms. The other clothes, I would safely store in a sealed plastic bin for safe keeping! Loved your article and best wishes for success in all you do. 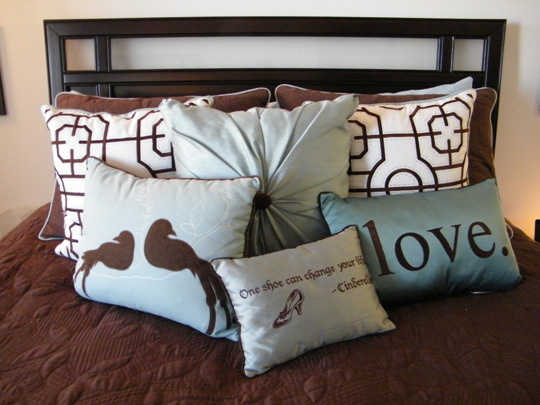 Love your pics of designs and ideas for eliminating clutter. 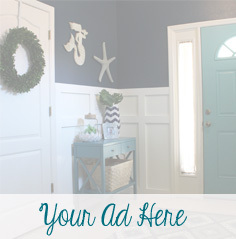 Just a suggestion from one woman to another, and that is getting rid of exterior clutter around our homes that will enhance “curb appeal” before someone enters our home. That is, keeping the clutter out of our rain gutters! I’ve found a brand new attachment tool for my wet/dry vacuum that when attached to the hose, literally “vacuums out” all rain gutter debris, wet or dry, while I stay safely on the ground. It is so easily to use that I can even do my second story rain gutters without the assistance of anyone else. This makes me very happy and I hope other female homeowners will see the benefits of this new American Made tool, to make our lives a lot easier, safer, and saves us a lot of money! This tool is called the Gutter Clutter Buster and can be seen on their webpage, along with videos that show how simple and easy it is to use. I encourage all ladies to visit their site and see for themselves. Best wishes for many happy days ahead to you Lindsay, and all your readers. You work is greatly appreciated. Thank you for the nice words!! 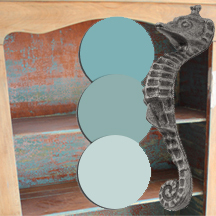 We appreciate you following our blog and look forward to more design opportunities to inspire you! Thank you for the suggestion. I absolutely agree with continuing the spring cleaning right out to the exterior too! You are right… it absolutely enhances the overall curb appeal! I will go and check out that site right now! The product sounds fantastic! Thank you, thank you! 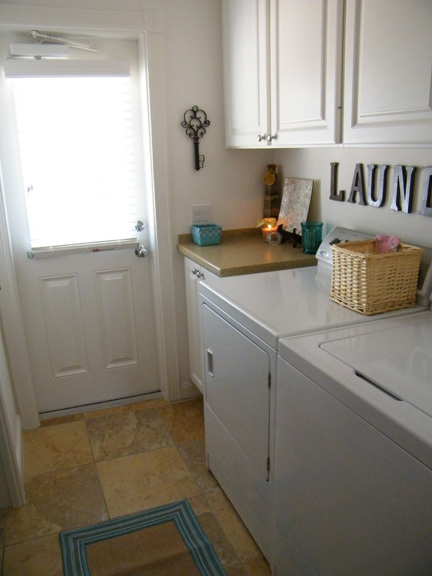 I thought of a lot of ideas for organizing my home after reading this post. Thanks! I loved your hooks for the dog leash. Where did you find those? I thought they were so cute and would love to get them for my dog’s leashes. Thanks again for all the great ideas! They are such a pop of fun for a necessary item!! Enjoy! We look forward to exciting you with more future interior ideas!